… off MSRP … some exclusions may apply … you cannot combine offers … no cry babies!!! 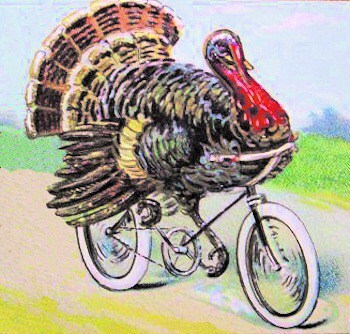 Halter’s will be closed this Thanksgiving Day. Best wishes to all our customers. Riding in winter, whether commuting or communing with nature, can be a pleasurable and generally warm experience. The clothing you wear will make a fundamental contribution to your ride comfort. The principle for keeping warm is layering your clothes. That is, wearing thin, but thermally efficient apparel, suited to its position. 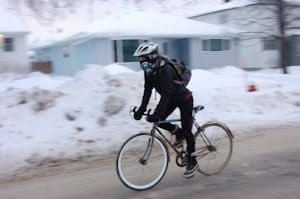 Clothing should also control perspiration and wick it away from areas which are susceptible to wind-chill, especially your chest which is in a permanent 15-20mph gale while you’re riding your bike. 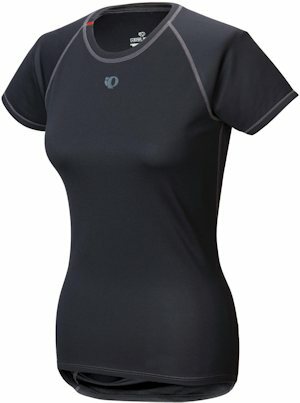 Keeping your torso warm begins with a base-layer tee- or shirt, which not only provides a thermal component, but also a means of wicking perspiration, because you will sweat even on a very cold day, away from areas which are liable to cooling from wind-chill and away from contact with your body. A good cycling base-layer will also incorporate some form of wind blocker in the front of the piece. 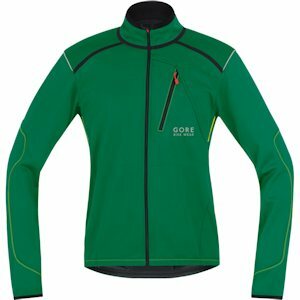 Good base-layers are available with short or long sleeves and various neck treatments. The best will feature a wind-blocking layer on the front of the chest and arms, and panels which will wick perspiration away from areas which will be subject to severe wind-chill. Base-layers designed for jogging and other outdoor activities may not feature a wind-proof layer, so check if you’re thinking of incorporating this type of garment into your layering scheme. A good winter outer jacket will resist the elements and provide yet another thermal barrier to keep you comfortable. This garment has to balance rain-, wind- and cold-resistance, and the ability to wick away any perspiration which builds up and remain comfortable to wear on a bike. This means that they are constructed from sophisticated and highly technical fabrics which can make their purchase quite an investment. In addition, most jackets incorporate reflective strips and piping and are also available in hi-viz versions so you can be seen as well remain comfortable in low light conditions. When it comes to keeping your legs warm the shop favorites are bib tights and knickers. 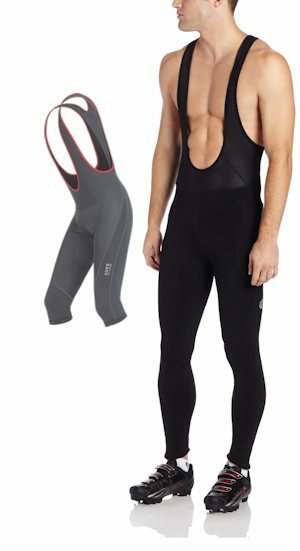 Bib tights stay in place better and also avoid chilly gaps developing when you’re riding, keeping your midriff and lower back warm. Some prefer the knicker style with long socks. Both are available with varying degrees of insulation and wind-proofing. You may prefer to wear long tights without the bib. These are available with or without a seat pad, useful if you intend to wear the tights over a regular pair of bike shorts. No matter which gear you choose you will find that if you wear too much at the start you will quickly overheat with its subsequent perspiration/wind-chill problems and nowhere to stow excess clothing when your on the road or trail. Staying warm and comfortable on a bike in cold and wet weather is a balance which is helped to a large degree by the right choice of apparel. Keeping your head and ears warm will help keep the rest of you warm. 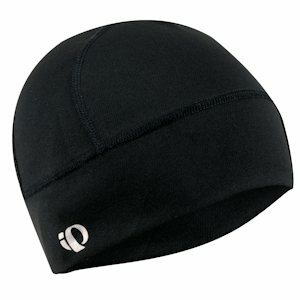 Most cycle helmets are designed to enable the maximum air flow, great in the summer, but freezing in the winter. Use a close fitting cap or hat which covers the ears and, if possible, a wind blocking, rain resisting layer on the front. Some caps feature a peak which can help prevent rain dropping onto your face. 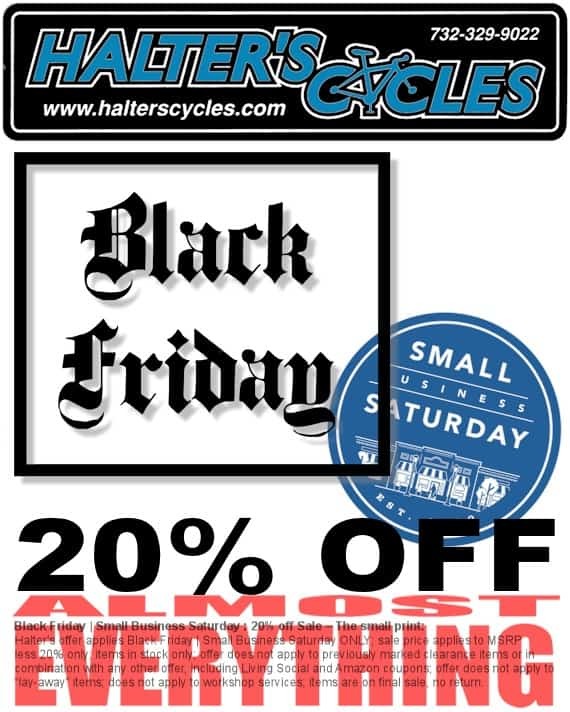 Halter’s sells quality winter cycle clothing and accessories by, Cannondale, Castelli, Gore, Pear Izumi and other quality manufacturers. So, to start at the beginning, many cycle shoes have vents in the sole and/or elsewhere. Take out the insole and cover the vents with duct tape. Metal mountain-bike cleats can act as heat-sinks transferring warmth from your foot to the pedal so a couple layers of tape over the backing plate inside the shoe can help. Look for merino wool socks. Don’t be tempted to wear socks which are too thick. You don’t want to restrict circulation. Wool can carry its own weight in water without feeling damp, and still maintain 70% of its insulation value. No synthetic comes close. Toe warmer sachets may also work for you and can provide warmth for up to 6+ hours. These require space for a bit of air to circulate and feed their heating action. 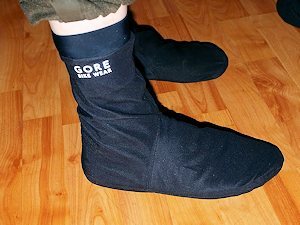 Other next-to-the skin options include Goretex or neoprene socks. These cut wind-chill effects and thermal transfer, but may feel bulky inside your shoe. Personally, I like silk sock liners, available from some outdoor suppliers – an old motorcyclist’s tip. Toe covers are great for when it’s not too cold, or it’s going to be one of those days which starts chilly but ends up nice and warm by the middle of the day. They also stow easily in your back pocket when they’re not required. Toe covers usually just stretch over the front of your shoe and are secured by an elastic strap. 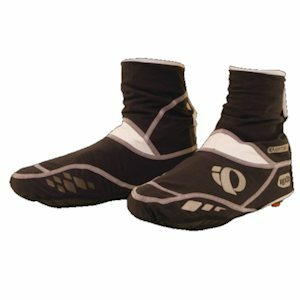 If you’re more intent on serious winter riding or commuting, then you’ll appreciate the warmth and protection a full winter shoe cover can give you. The fabric may be neoprene, Goretex or other proprietary material, providing wind protection, insulation and water resistance. Most covers are designed to fit very snugly. So if you’re looking for them bring your shoes to the shop to try different models and sizes for the optimum fit. Most are secured by a zip or velcro at the back. Prices are from about $60 to around $100 for the heaviest duty Goretex lined models. 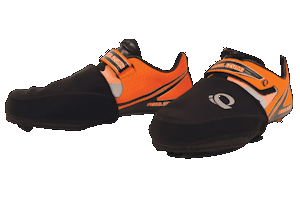 If you’re looking for maximun warmth and protection you should consider a dedicated winter cycling shoe. Most incorporate a thermal/moisture barrier and are usually in an ankle boot type pattern. 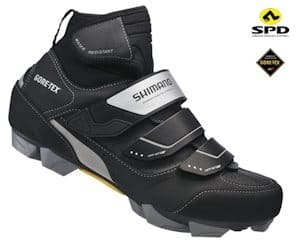 Winter shoes are available in mtb and road pattern, but most riders prefer the mtb type which gives much better grip and security on slippery roads and paths. Consider winter road shoes if all you’re ever going to do is teeter from bike to coffee shop. Halter’s stocks a full range of winter gear for your feet from Gore Bike Wear, Pearl Izumi, Cannondale, the Sock Guy and other good manufacturers.